We will show you how to create database on oracl cloud database. Select billing frequency as per your convenience. 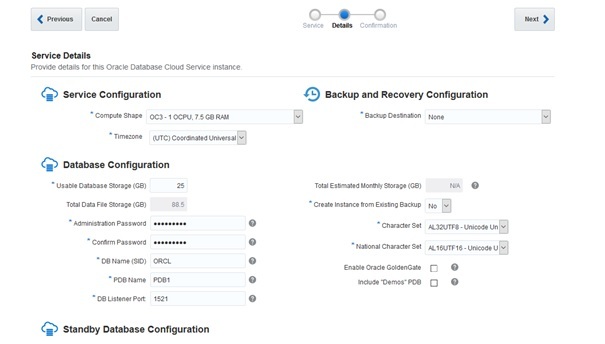 Finally, check the configuration and click on “Create” to create your cloud database. After a few minutes, cloud database will be created successfully. Click on the service name ( CloudGG) to open the main page of database. So now you know that it is very easy to create a database.